Press freedoms are so pivotal to the functioning of democracy they have gained explicit recognition, in the name “Fourth Estate” (the name grew originally out of the organization of European parliamentary systems). The essential quality for a robust Fourth Estate? That it be quite independent – utterly independent of the government, to which it must speak truth to power. Independent, period. So, our local Concord Carlisle TV station, CCTV? Concord's Fourth Estate, being local, is if anything more precious. Our community station CCTV must remain independent, and strong. Even a hint of government control undermines our freedoms. Diane Proctor begins with the Constitution, reading for us, as highlight, the First Amendment of the Bill of Rights, on free speech and a free press. She is clear: "The notion of independence of the Fourth Estate from government is not an abstract issue." Representative Cory Atkins is emphatically clear – she is deeply opposed to any transition. As she says, "Those farmers didn't fight and start shooting guns at the Old North Bridge so the government could control our media." You do not want to miss her comments. David Allen speaks plainly. There have been no reasons given for a takeover. Information disseminated has been worse than unreliable. A government taking over a TV station plays to the very worst of our instincts. Much more importantly – Concord, and Carlisle, have been blessed with a stellar board of directors for our independent TV station. Including the most seasoned leadership of that board, two individuals at pinnacles of video production careers – who started in community television 30 years ago and who care fundamentally that ours will flourish. Everyone, giving their time on a volunteer basis to take us there. Along with a first-class staff. Karen Kugel, a member of the CCTV Board, is clear. Concord can have all the CCTV services and features brought up by the Town Manager and his assistant – they only have to ask. Which they have not done. [Editor: Why haven't they asked?] And the costs will not be on the taxpayer, which could happen if swallowed up into the town. Not to mention the First Amendment considerations. Whether a subscriber or not to Comcast, everyone has access to programming, which CCTV makes available online. Complaints were investigated and all found not to be true. There were NO formal complaints, ever. The two plus minutes make clarion. Tanya and Mark Gailus announce Article 20 for Town Meting, to keep CCTV independent. Julie Rohwein, among other talents, an audio engineer with some years experience, has distinct, piercing questions for the Assistant Town Manager, about the proposal to create a satellite studio – but finds no answers. A minute of video not to miss. The Town Manager tries to explain his behavior. 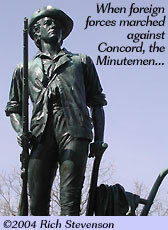 A Concord Journal article, which followed immediately after the League forum, reports evidence that two statements, in the full five minutes, are not true; instead: Though meetings with the Town Manager took place originally, that ended years ago. The Executive Director of CCTV has been the same person the last several years. No serious look had been made, it turns out, into the facts of CCTV – despite preemptory moves to disband it. More seriously, apparent non-truths were fairly regularly repeated, as rationale to that end. Time had come for a rigorous look, to assemble a trustworthy picture. → Need to get your hands around the facts of the CCTV situation in a fairly succinct form? These five pages have been vetted most exhaustively, including by well over a dozen individuals. You may be surprised, even dismayed, by some of what you learn. It is time for us to deal from the facts – then insure that we preserve the independence of CCTV, a fundamental cog in our Fourth Estate. As we see, there is a down-arrow link at the bottom of the document frame, to download the pdf, if that is easiest to read. The local papers, other key cogs in our Fourth Estate, have played their part. Illustrating directly the esssential free press function. From the Concord Journal: A CCTV Commentary and five letters to the editor. In the Carlisle Mosquito: Reportage, including first print of the CCTV Commentary.